In this age of super rich, party girl socialites, one who blazed the trail early on by choosing substance over abuse is actress Mariel Hemmingway. This model-turned-actress-turned wellness guru is shedding the light on the mind/body/spirit movement and in an exclusive to us, she talks about the latest challenges for women to have it all, staying centered and not losing oneself in the quest for Hollywood’s quest for perfection. “My passion is to get into the heart of people and say, ‘Who are you? What speaks to your heart?’” says Mariel Hemingway. On a crisp, cool morning at the Travis County New Milestones Foundation luncheon where she is speaking, Hemingway is centered on getting to the heart of things. Tall, sublime and possessing traffic-stopping beauty, she still very much exudes, at 46, the screen queen image that got her nominated for a Golden Globe and an Oscar when she was the bright, young ingénue in Hollywood in the 1970s and early 80s. She is still the perfect model size, with golden hair and a smile that beams across the room. 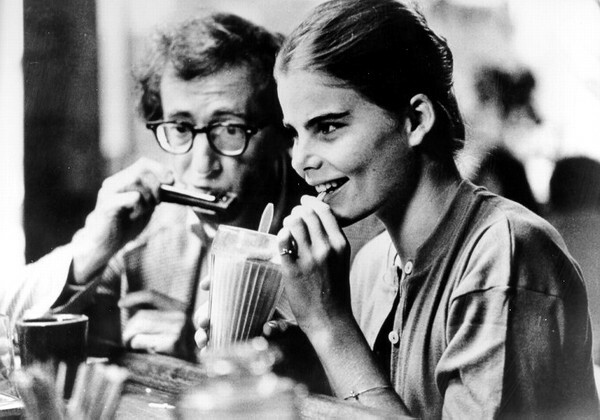 Captivating is but one word to describe Mariel Hemingway. Mariel Hemingway feels keeping things simple works for her and can work for others. She’s authored several books and nost recently, with Healthy Living from the Inside Out now out in paperback, people are paying attention to what she feels is important. It’s just four basic steps and reveals an individualized 30-day program that teaches readers how looking and feeling great are just a few simple choices away. Exercise also affects mood and is the second component in her book, is not just to stay in shape, but to stay connected to that level of fitness. Hemingway feels that by putting the emphasis on quality not quantity, people can learn to nurture themselves, stay grounded, and transform their mental, emotional, and physical states a little bit each day. Thus, ending up looking and feeling better than ever. “Some people are skinny and it’s fine if they are. Some people are not super skinny, but it’s about finding the ‘beautiful you.’ Which is just unique to you and its doesn’t look like me, it doesn’t look like Madonna, it doesn’t look like Angelina Jolie, it doesn’t look like those other people. It looks like you,” states Hemingway. “Mediation doesn’t have to look the same for everybody, so silence does not have to be meditation,” Hemingway confides. For me it is, but for other people it can be a walk in the woods. That is also my meditation. Or it can be music, listening to Schubert, or listening to whatever you love. It’s about finding those things that speak to your heart and when you start to speak to your heart, your heart starts speaking back and telling you what you need… and then you start living a balanced life. The fourth principle of Hemingway’s guide to bliss is about one’s surroundings. “Too often the home in which we live echoes the clutter and chaos of the outside world. Learn how to make home a place where you can rest, recharge, and refocus—a haven for the balanced life we (and our families) seek’” advises Hemingway. To Hemingway, that means removing clutter and anything unnecessary that inhibits a balanced life. “There is that stuff that accumulates that you never look at. It’s those papers that pile up, it’s those things that are old that you really don’t care about but you think that your supposed to. It’s like finding the noisy foods… finding noisy objects that don’t serve you, that don’t give you any joy, don’t give you any peace. That’s the goal,” she states.